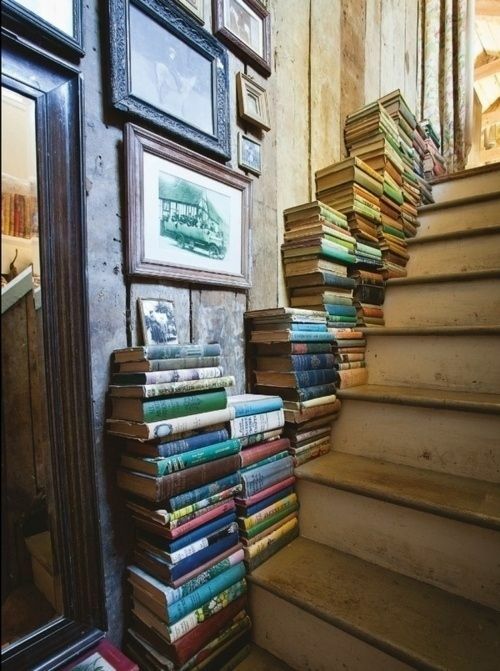 I do this -- stack books everywhere and let them decorate the otherwise lonely looking nooks. When I bake, I even have to move books to let things cool. I do not consider this a problem.